When we arrived in San José, Costa Rica we picked up our rental car and hit the road towards Quepos. As we were driving, we approached a bridge that had a lot of people standing on it so we pulled over. We thought it was probably a cool vista, so we grabbed our cameras to go see what was going on. 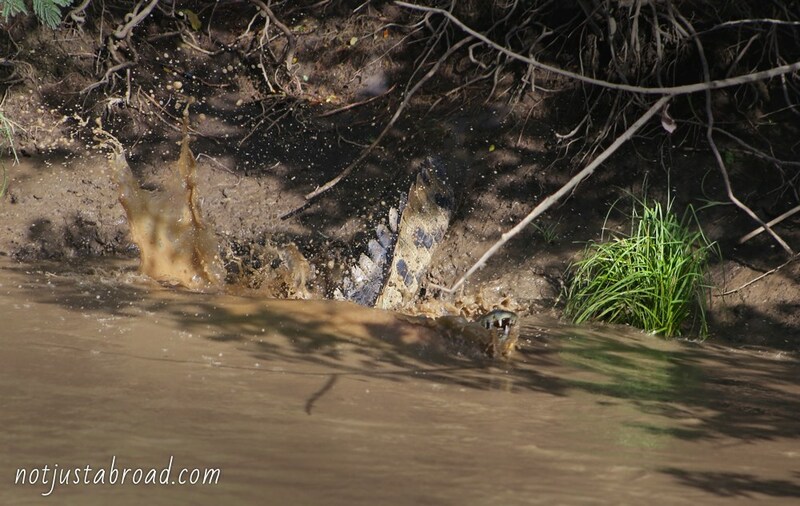 The bridge spanned the Tarcoles River, and there was a view: gigantic american crocodiles. I would have never imagined them to be so massive; it was impossible to look at them and not see their prehistoric ancestors. More like dinosaurs than today’s reptiles–some of them bigger around than a horse. I’m quite sure these beasts made my alligator in the bushes look like a lizard. 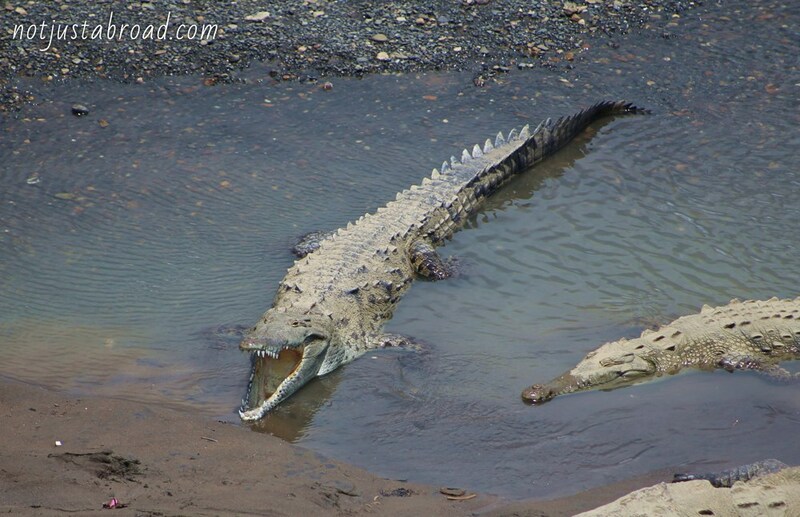 Knowing that these monstrous carnivores lurked in the local waterways made me extremely nervous to swim anywhere. 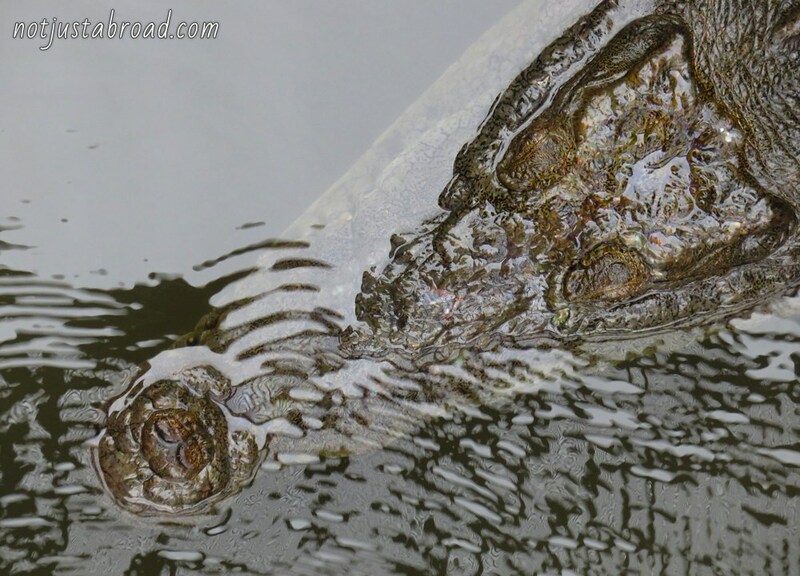 They even closed down one of the beaches at Manuel Antonio National Park because there had been crocodile sightings. The males can get to be twenty-three feet, and can weigh 2,000 pounds! Shudder. 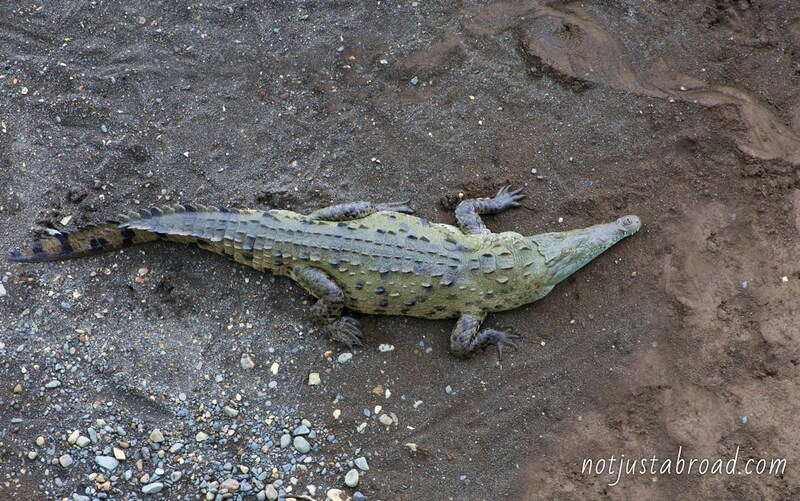 Later in our trip, we got to see one up close at Palo Verde Parque Nacional. This one was not as big but could have still killed us no problem. They are amazingly dangerous creatures and beautiful in a horrifying sort of way. These beasts are also endangered, making us feel particulary blessed to have been able to see them. 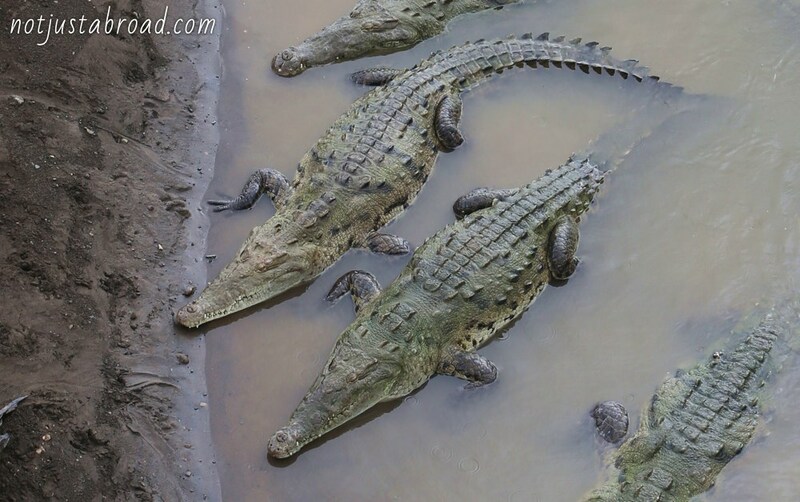 If you ever make it to Costa Rica, don’t miss seeing these monsters.